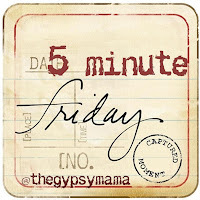 Check out The Gypsy Mama for the Five Minute Friday guidelines. This week's prompt is: loud. When I think of loud, the first thing that comes to mind is family. Yelling at football games on t.v., playing card games with much bantering, telling the same stories at every gathering to get a laugh. Loud. But now as an adult I realize that loud isn't always about volume. I see people all of the time with loud personalities, even if it is just via social networking sites. Everyone is opinionated, myself included. So what I mean by loud is those who just know that their opinions are the gospel, and everyone else is, well, less than. I find the people who get the most upset about different opinions are the loudest about their own rights and privileges, demanding grace and acceptance and freedom without giving that to those of opposite opinions. I'm tired of the noise. I'm tired of my own noise and the noise of others. And in that weariness I am beginning to understand why Jesus withdrew from the crowds to the lonely places. There is peace and perspective when we get a break from the noise. 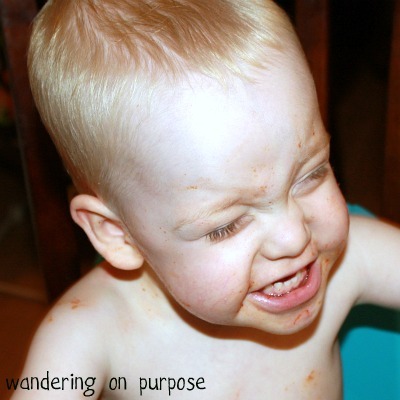 I am learning to be quiet, loud by nature and often a leader I am learning to be more obedient to being led...how I so believe our actions mean so much more than our words, yet I share too many of them outloud! Have a great weekend! Good point about Jesus withdrawing from the crowds. I think there's a lot to be said about knowing when you need peace, contemplation and prayer:). I don't know what I would do if I didn't have those times, especially because I am so people-oriented. Thanks for the post, found you through Five Minute Friday. I look forward to quiet moments when they happen at my house. They don't happen often without a mess happening some where in the house. Lord, teach me to listen. The times are noisy and my ears are weary with the thousand raucous sounds which continuously assault them. Give me the spirit of the boy Samuel when he said to Thee, `Speak, for thy servant heareth.' Let me hear Thee speaking in my heart. Let me get used to the sound of Thy Voice, that its tones may be familiar when the sounds of earth die away and the only sound will be the music of Thy speaking Voice. Amen.